As green drivers, electric-vehicle owners shouldn’t have to compromise certain driving capacities for taking an electric vehicle to the road. The Nissan LEAF is among the top-rated electric car models that help consumers save money, improve comfort and reduce their carbon footprint. Cutting costs? More space? Going green? These pros, plus added features such as a first-rate lithium-ion battery, excellent overall protection, instant 100% torque, and more, enhance EV drivers’ experiences on the road. Nissan’s LEAF sounds too good to be true; however, improvements can always be made for unparalleled driving experiences. Nissan dealerships everywhere are stocking up on this one-of-a-kind green car, and a lot of promise in it is on the rise. One of Nissan’s top priorities for the 2013 LEAF is to increase its mile range. Not making it to your destination because you ran out of miles shouldn’t have to be an ongoing fear whenever you’re on the road. 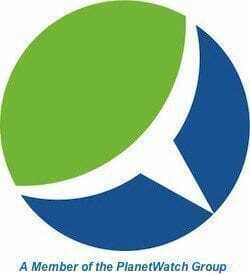 According to Digital Trends, Japanese website SankeiBiz released a report that stated to eliminate drivers’ mileage concerns, the 2013 LEAF’s mile range will be increased to better meet the needs and improve the lifestyle of the average driver. The current LEAF has a range of 73 miles and according to Digital Trends, consumers can expect that next year’s model will boast a 30-mile increase and 25% boost. Drivers will benefit from a range of about 103 miles before recharging. Nissan’s goal with these advancements is to continue leading the way in the all-electric vehicle markets. The rumored upgrades such as a lower price point, increased mile range and overall better efficiency give EV consumers something to look forward to as production begins this December. 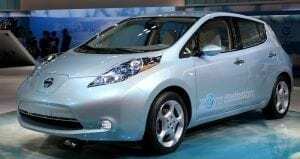 Arizona residents who want to learn more about the 2013 Nissan LEAF and the latest models should visit the Arizona International Auto Show at the Phoenix Convention Center. The event will be held Thursday, November 22, 2012, through Sunday, November 25, 2012. During Thanksgiving weekend auto-enthusiasts can preview hundreds of new car, truck, SUV, and crossover models. Motor Trend Auto Shows, Inc. has been annually hosting the weekend-long event since 1984 and every year car enthusiasts visit downtown Phoenix to preview and inspect vehicles that will be produced within the upcoming year. Are you excited to see the hottest exotic models? Do you want to know details about innovative features on the latest vehicle manufacturing design such as the Nissan LEAF? The International Auto Show is the event for all of the exciting information and models. Test drive the latest cars, check out new engines and mingle with leading automotive manufacturer representatives! Doors open to the exhibit at 9 A.M. The show ends on Thursday and Sunday at 7 P.M. and Friday and Saturday at 9 P.M. Family Day is Sunday, November 25, and children 12 years old and younger are admitted free with a paying adult. Visit Motor Trend Auto Shows for more information about pricing, directions and parking.